In many businesses there is an inevitable focus on converting visitors into leads and subsequently into customers, but it seems that many are just leaving it there. If 70% of B2B customers have been found to be either indifferent or actively disengaged when it comes to your company, there's something wrong. We need to make sure that amongst the conversion process and close sales, there's one final step which is crucial to the inbound methodology which you shouldn't be forgetting - delighting your customers and turning them into promoters. Arguably one of the most important parts of the buying journey and something that you can't afford to overlook. After all, by forgetting about customers once they've closed, you're drastically reducing the chance of recognising add-on opportunities and even referrals which i'm sure you'll agree is often the best source of new business. So, how can we start paying more attention to our current customers, as well as the potential ones? 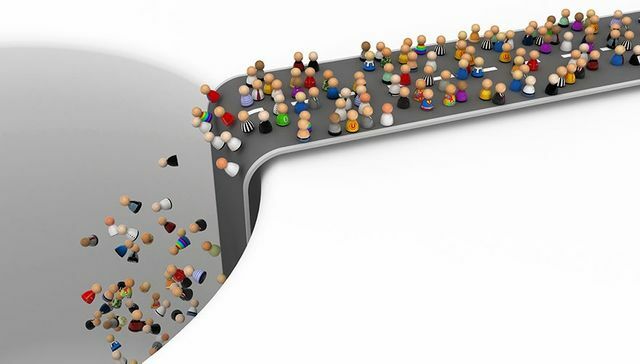 If you're segmenting your database well, it should be easy to actively engage with your customers. Nurture sequences shouldn't just be a lead-in for conversion, you should be looking to delight your customers with content that they might find useful. By keeping on their radar you're improving the chance of them coming to you, over anyone else when the time comes round to renew their solution or look at something else. Take segmentation that step further by using smart content on your website. Even if it's something simple like using a smart CTA. If you know someone is in the retail sector, highlight a useful whitepaper to them on why free wi-fi access is an important consideration, or if they're in education offer them a guide to boosting their BYOD strategy. Make sure that your content isn't just focussed on people getting to know you. There needs to be an element of still helping your customers after they've been closed. Keep adding value and considering what they may need to know. Having that spread of content from the awareness stage to beyond the decision stage, and then using segmentation to promote that via email nurture campaigns tailored to their status can help position you above your competitors when it comes to customer loyalty. Happy customers means more positive word of mouth... who can argue with that? Hold the Front Page: There's a New HubSpot Toy in Town.